At The Winston Churchill School we strongly believe in working closely with parents and students to ensure the best learning outcomes for all our students. In order to make the most of this three way partnership we systematically plan regular contact with parents, in order to keep them informed of how their son/daughter is progressing and how they can support their son/daughter to make further improvements. At the start of each academic year we hold an information evening where we provide details of what to expect in the coming year. We publish reports for all students 3 times a year to keep parents informed of their child’s progress in each of their subjects. We hold one parents evening during the academic year for each year group. During the evening parents, accompanied by their son/daughter, can have a 5 minute appointment with their child’s subject teachers to hear how their son/daughter is progressing and receive advice on how they can support their child to make greater progress. Finally, we hold a Learning Review once every academic year. For these meetings to take place it is necessary to close the school for one day, with students being set work to do at home, as well as completing the tasks that are generated as a result of the learning review meeting. The Learning Review is an opportunity to reflect on the way students learn and how they can improve their learning skills in discussion with their son/daughter’s tutor. These are seen by the school as an essential part of the learning partnership between the school, parents and students. 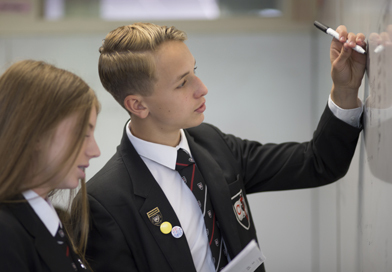 For students in the lower school (KS3) the meeting focuses on The Winston competencies of collaboration, resilience, analysis, ingenuity and communication as these are the key to students becoming successful learners now and for later life. For the upper school (KS4) students there is a greater focus on examination preparation and academic performance. As part of the school’s commitment to working with parents we provide a number of parent/student workshops for KS4 students on the same day. These include study skills workshops for Mathematics and English, advice sessions on dealing with exam stress and anxiety as well as drop-in sessions run by external agencies and opportunities to purchase revision materials. As a school we consider very carefully the planning our calendar for each academic year. 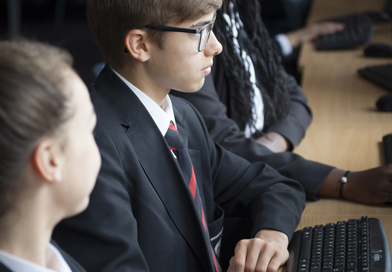 Our priority is always the reporting and parental contact with parents of Yr 11 students to ensure that preparation for the GCSE examinations is optimised. 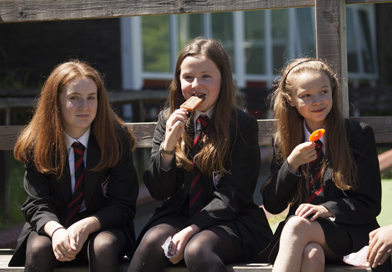 We then prioritise Yr 9 and 10 in order to provide the best sequence for students and parents making decisions about option choices and those nearing examinations respectively. Furthermore, we have to try to ensure an even distribution of events for staff and parents. We constantly review the structure and sequencing of these events in order to improve further and we welcome any feedback from parents in relation to this.